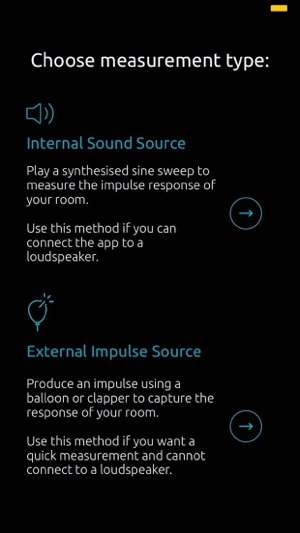 Impulso Lite allows you to measure the acoustic response of your room using your iPhone. 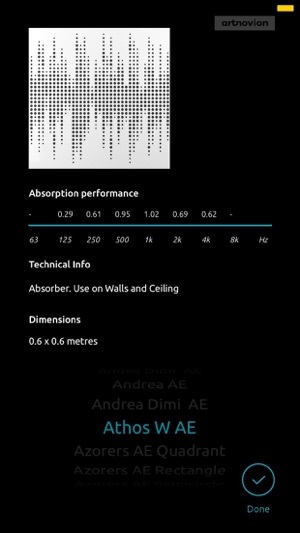 You can visualize the measured reverberation time (RT) in octave bands and then simulate how the acoustic response of your room will be improved when adding artnovion acoustic products. You can enter room dimensions and select the type of room you are designing for. 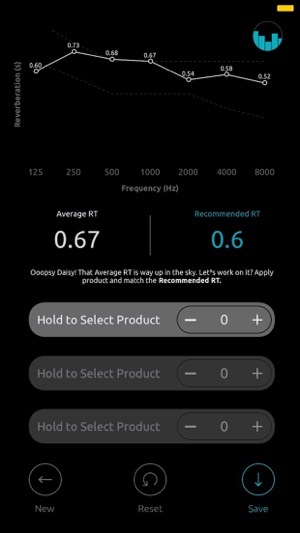 The app will then tell if your room meets the expected RT and you can select products to optimize the response accordingly. 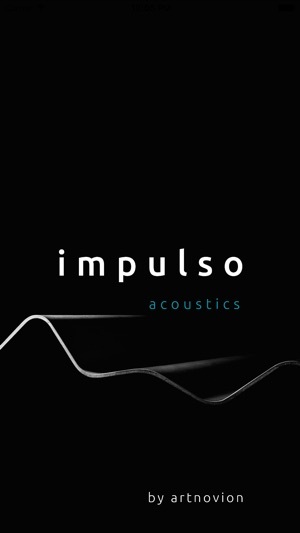 Impulso Lite allows you to take a measurement with an internally generated signal if you are able to play it via a loudspeaker system, or using an external impulse source, such as a balloon, if you don’t. Compatible with built-in or external microphones. Check out Impulso Pro for detailed plots of energy time curves, to check for undesirable reflections, a frequency plot, which you can zoom in and a table with the acoustic parameters of your measurements such as C80, D50, STI and Bass Ratio. Impulso Pro also adds tramlines to the RT plot so you can fully optimize the response to meet the criteria for the room type selected. 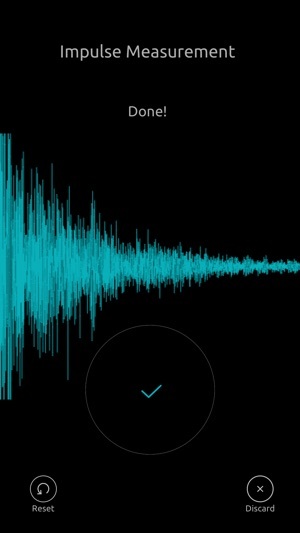 You can also display the spectral response of the microphone input using the new Real Time Analyzer. You can now send a file with the result of a spectral plot of your measurement and plot in your own numbers software. We have also corrected a number of bugs and made the app generally more stable. Check the paid version Impulso Pro for added functionality, such as a Real Time Spectral Analyzer and detailed plots of your measurement.